Orientalist Vladimir Plastun is Professor of the Department of Oriental Studies of the Novosibirsk State University. He spent over two decades in Iran, Afghanistan, India and published over 300 papers on sociopolitical events in the region (Iran, Afghanistan, India, and their neighbors). Several years ago Plastun concentrated on left-extremist movements and terrorism in Islamic countries. International conference "Cooperation and Integration Projects for Central Asia: Comparative Analysis, Opportunities, Prospects" took place in Hujand, Tajikistan, on June 28-29. Ferghana.Ru interviewed one of its participants, Professor Vladimir Nikitovich Plastun (Novosibirsk University). Ferghana.Ru: Do seminars and conferences such as this influence political processes in the region? Vladimir Plastun: They can only be constructive and possibly even influential if the best valuable ideas suggested in their course are summarized and forwarded directly to every smart official of the government of a member country. Final resolutions adopted at these conferences or whatever are needed too, of course, but mostly to the media. Ferghana.Ru: Was this conference political? Or, rather, how impartial was it? Vladimir Plastun:: Sure it was political! We did not discuss problems of irrigation or cotton harvesting, you know! (Even though even these matters may be made political, given sufficient ingenuity.) We discussed the role played by Central Asian countries in the geopolitical context and that's not a laughable matter. And how can this geopolitical aspect be separated from geopolitical when everything comes down to the natural resources the Central Asian region is rich in? Hence certain prejudice - which is only human. What did you expect? Islamic terrorism did not originate in Asia. It was brought there from without. And those who claim to be fighting terrorism turned up there too. In fact, this war on terrorism will drag for years, in the hope to isolate Central Asia from Russia. What for? There are three motives involved here. It will weaken Russia (1), it will prevent integration of Central Asian countries (2), and it will gain access to the resources that are being rapidly depleted in other regions of the world (3). Ferghana.Ru: Is serious and constructive integration possible in the first place? Say, like what we are witnessing with the Russian-Belarussian union? 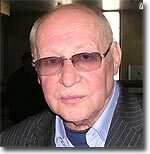 Vladimir Plastun: It is possible, in theory. On the other hand, Russia and Belarus are not a proper example. Central Asia is different and different approaches are therefore needed here. Ferghana.Ru: What forms of cooperation are then best applicable for the region? Bilateral cooperation, interaction within the framework of the Shanghai Organization of Cooperation, or something altogether different? Vladimir Plastun: Anything goes as long as understanding is assured - first bilateral and then on a broader scope. As for the Shanghai Organization of Cooperation, it's quite interesting from the standpoint of the ability to reach this understanding it demonstrates over and over again. Ferghana.Ru: What part has Afghanistan been playing in these processes? Has it become an integral part of Larger Central Asia or remained a thoroughly autonomous player? Vladimir Plastun: Afghanistan is not playing any autonomous role in the regional politics these days. And neither is it going to do so in any foreseeable future because it depends - in financial and military sense - on other countries. Whoever chooses to dispute this assumption had better take a look at my statements and articles of the period of Soviet military presence in this country. Western media outlets branded all governments of Afghanistan (those of Amin, Karmal, Najib) as "Moscow's puppets" then. The Soviet Army fought "gangs" there at first. When our politicians finally saw the light, however, they began calling for "national reconciliation" with the same "gangs". And by the way, I was one of speech-writers for the leadership of the People's Democratic Party of Afghanistan. Nothing changed, you know. Even the constitution of Afghanistan was drafted by the Americans who are using NATO contingents now to force it on the Afghanis. NATO contingents are fighting Taliban, the movement the United States itself established with its own and Saudi money. The war goes on, ruining the country worse and worse, but it is the international community these days that is supposed to raise money for restoration of Afghanistan. When we were fighting in Afghanistan, the USSR alone financed everything. It cost it dearly, as we now. In short, forget any autonomous or independent role of Afghanistan. Ferghana.Ru: Is it possible for the Shanghai Organization of Cooperation to work out a coordinated policy with regard to Afghanistan? And what form will it take, if it is? Military assistance, economic assistance, relief aid? Vladimir Plastun: That Afghanistan needs help is clear. It is the form of this aid that has to be decided on. Moreover, it should be address aid. The matter should be run by the government of Afghanistan first. All documents should be signed only when reaction to this aid has been gauged in advance. There is the United States, you know, what watches closely everything that concerns Afghanistan. Iran, Pakistan, India, and Mongolia are observers in the Shanghai Organization of Cooperation. With these countries contributing to the effort, the effect will be even more tangible. As long as the aid is not pilfered the way the Western aid is being pilfered these days. Ferghana.Ru: Will the next summit of the Shanghai Organization of Cooperation in Bishkek become a step towards integration? What are the chances that Iran will be granted full membership in the structure? Dushanbe and Bishkek second the idea. Is the matter already settled or are these capitals playing their own games and promoting their own interests? Vladimir Plastun: The idea is tempting. Very tempting. Particularly since the Americans will certainly hit the roof. On the other hand, the Russian Federation is smart enough not to sour its relations with the West and particularly with Europe over Iran. New President of France Nicolas Sarkozy in the meantime has proclaimed himself an unequivocal supporter of the American policy. Iran is still hanging on to Homeini's famous "Neither West nor East" but it will have to choose something over the other one fine day. As things stand, however, it remains thoroughly unpredictable - what with the escapades it comes up with and everything. I'd say that Tehran leans towards Central Asia because it realizes that this is the future. I suspect that the Iranians think that an alliance with Central Asia is just the so called "third way" that will eventually lead them into the Shanghai Organization of Cooperation. Iran will then be a full member, like Russia or China, without actually going through the indignity of asking for it. In the meantime, the proprieties are observed because it is not Tehran asking, it is Dushanbe and Bishkek inviting it.